Silicon Valley Dental Care (San Jose) - Book Appointment Online! Dr. Mario J. Cordero-Pangrazio has joined Dr. Hatzke and the compassionate team at Silicon Valley Dental Care, who have provided the San Jose community with modern dental care while maintaining a family-oriented atmosphere for over 30 years. We spend time with you to get to know you, finding out your desires and concerns, and developing a roadmap for you to achieve your oral health goals. We have a unique opportunity to positively impact your life by delivering comprehensive and state-of-the-art dentistry in a warm, caring environment. Let us welcome you into our dental family. Silicon Valley Dental Care offers comprehensive dental care, from preventive services to the most effective products to improve your smile's aesthetics. 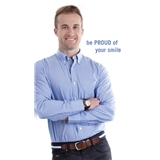 Providing quality dental care to San Jose, Los Gatos, Santa Clara, and all surrounding California areas. Services also available in Spanish.